Also, lordoftherings.filefront.com if you did not know has been holding polls for BFME mods. While they are not comprehensive as they miss, in my opinion, some of the best mod releases of the year, it's a great place to support a number of mods on The 3rd Age - TEA, SEE, WotE, RJ, and other affiliates like BoG. Also, post comments for mods that you think might have been left out so they can be added to the mod center if they are not already. Edited by robnkarla, 18 January 2008 - 08:54 PM. Love the new skins...I wish I had a computer that could play at that good of detail level. I'm not sure whether it's my computer acting up or a problem with the website, but the RJ ROTWK website that you've posted won't open. I get a message saying Internet Explorer can't open http://rjrotwk.the3rdage.net/, and that the operation is aborted. I get the same message going from my bookmarks, so it isn't the link that's bad. Tell the truth, I don't like dwarves, but this skins looks fine! Yeah, it's an IE7 issue that I'm working through. Hopefully I will have it resolved soon. Arvedui looks awesome, man I want to try him out. The site works fine on FireFox. BTW, the first two Lorien Soldiers link to the same picture. I like how the new dwarf skins are turning out. Have they just been recolored or is there new material in them? Same goes for the elf skins. You could try changing it. If that doesn't work, try moving the line above the <p> tag so it is the first thing in <body>. Thank you. I'll check it out when I get a chance. I mostly try to stay on IE6 for work reasons, but I have one comp with IE7 I'll be working on over the week-end. Hopefully then everyone will be able to see the site with no errors. As for the skins - they are more than re-coloring. Some of it is just re-coloring but a lot of it is new/changes made. I'll try to place some low-res versions of the skins up to compare them. I fixed the error on the website so there will be no problems. I still need to completely update the faction area and a couple others, but a LOT of content has been added. Check out the locations of Middle-Earth in the Media section to really get a feel for what this mod is about. 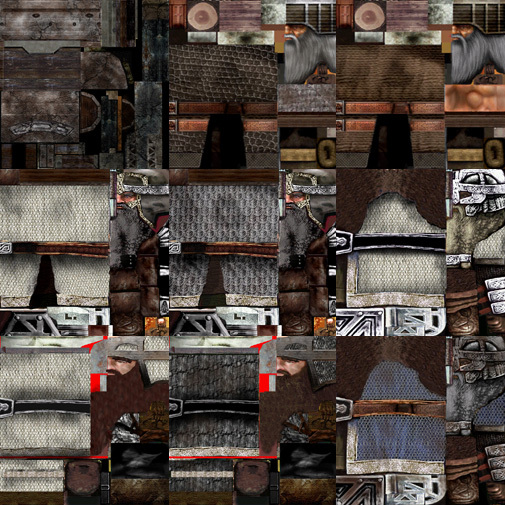 Also, here is a small preview of the dwarven skins. As you can see Shikari has done some really good work on putting these together, doing a bunch from scratch. The elven units are along the same lines. they actually also look like they have armor when upgraded. You guys have outdone yourselves once again. I always hated the look of the Elves, they were too colorful and didn't feel real. Your skins for them are superb and will make playing as them alot more fun. The Dwarven skins are amazing also, finally they look as they should have looked from the beginning. They look great, well done in this area. The Nazgul skins are good, hard to spot the big differences from the previous versions. Change that to 6583, latest count. scratch that! the downloads are up to 6667! awesome! Edited by Thorongil45, 22 January 2008 - 04:46 PM. What you see here can't be downloaded. The latest version released is 1.05.06. Rob is planning on getting a lot more work done before releasing another public version. It could be a few months (or more even) before a new (public) release.